Grossmith is another brand, with which I wasn’t familiar other than knowing the name. I’m not sure how I feel about old houses resurrection: usually the “nose” is different, old perfumes – even if the formulas survived – cannot be recreated exactly as they were because of the new regulations, and the packaging is also new. So, I’m not sure what exactly is being restored other than the name. Since this brand re-appeared recently, it hasn’t been represented widely in the U.S., and I probably wouldn’t have tested it if it weren’t for my trial subscription to ScentTrunk a couple of years ago. Diamond Jubilee Bouquet starts with a very prominent iris, not carrot-y but rather powdery. In about 10 minutes iris gets weaker, and I get distinct carnation note. After that for hours it is just a really creamy and muted floral bouquet (which is quite fitting given the name) plus musk and maybe vanilla. The complete list – just in case you’re curious, and your nose is better than my: narcissus, lily-of-the-valley, citruses, carnation, iris, jasmine, rose, violet, vetiver, musk, amber, tonka bean, vanilla and hawthorn. Diamond Jubilee Bouquet is very charming and pleasant. It is not perfume to fall in love with but I can hardly imagine anybody disliking it. As you can also get from the name, Grossmith created that perfume in 2012 to commemorate the event. “Limited Edition of 500 – available in UK only” was proudly stated on the brand’s site and repeated (without the “UK” part) on sites of several online stores that still carry the remaining stock of those “limited 500.” So either Grossmith keeps producing that “limited” perfume or they are still selling the five-year-old stock. It is not a bad perfume but I think it is just too expensive for what it is – a nice quiet office-friendly scent. There is nothing subdued about the second perfume I tested. Amouage Blossom Love is bright and loud. If I weren’t looking at the sample, I would have never been able to recognize it as Amouage perfume. 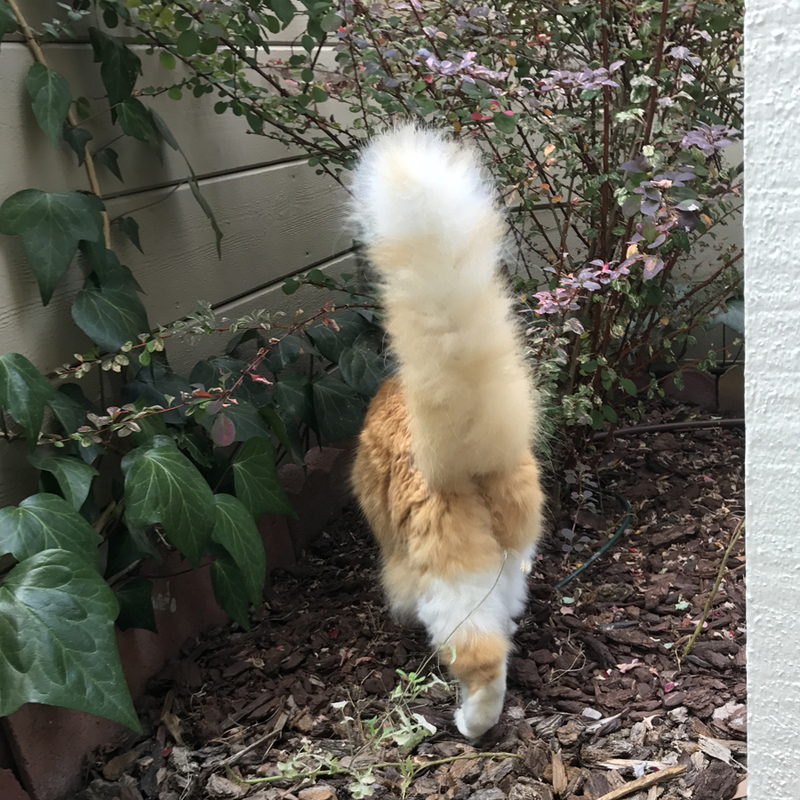 It is not a scent of a blossom. It is neither airy enough for the light spring floral scent nor opulent enough for Amouage fame. Blossom Love is very straightforward, simple and artificial, which isn’t surprising when you look at the list of notes: cherry blossom nectar, rose liquor, ylang ylang, Amaretto accord, vanilla, tonka bean, cashmeran. Can you imagine reading something like that but with the word “man” used instead? Ughh! I hate the fact that, instead of setting the bar high(er) for the industry and consumers, a great brand starts catering to the lowest denominator. And I just can’t believe that at $360 for 100 ml Amouage could not afford better ingredients or a perfumer who doesn’t produce more than one (mostly middle-tier mainstream) perfume per month. As you might have already guessed, this Amouage won’t be joining my collection – even though I suspect it’ll be available at a heavy discount soon. But for those of you in the U.S. who would like to try it or do not share my impression of the scent and want to wear it for a while, I would suggest checking it on the ScentBird site: for $14.95 (that includes S&H) you can get a 8 ml decant of Blossom Love (and some other recent Amouage scents). If you used to be a subscriber, login to your old account, and they’ll offer you to re-subscribe at a discount (you can unsubscribe at any time). If you have never subscribed to their service, you can use this link, and both you and I will get the second month free subscription, which means that for $14.95 you can get 2 x 8 ml of Amouage perfumes (there are some other nice options there now – that’s why I re-subscribed a couple of days ago). 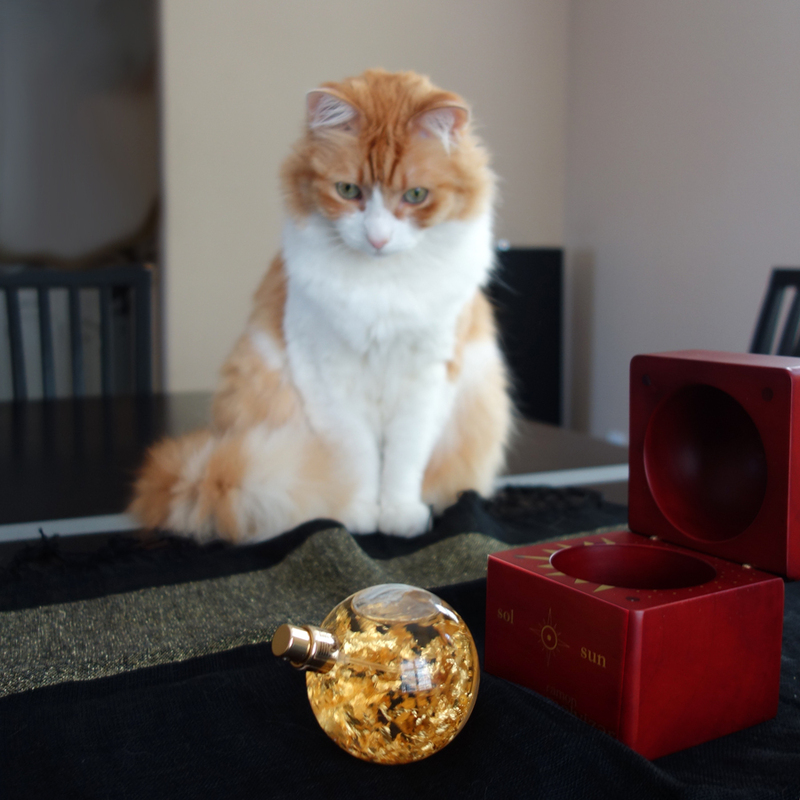 Most of my posts on this blog are stories related to perfumes. As I keep telling brands that offer me perfumes for reviews, even if I like perfume, I might never write about it if it doesn’t have a story to tell. 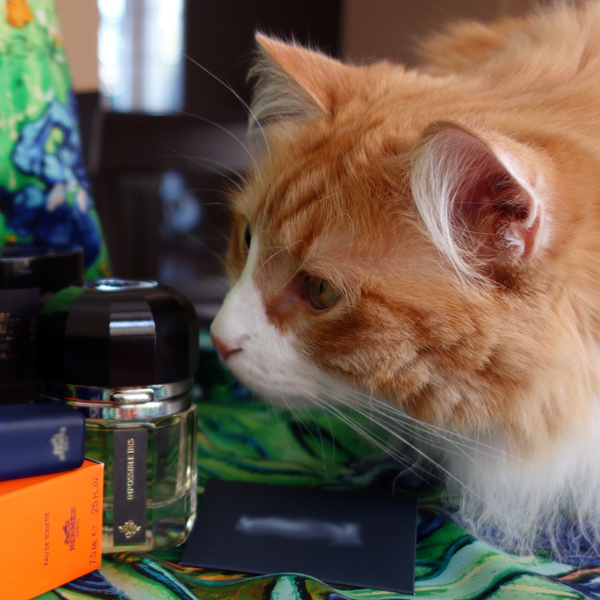 Usually that does the trick – they do not send samples, I do not feel guilty not writing anything about those perfumes. But I spend a lot of time testing samples that I get either from stores or from fellow perfumistas. So I decided that once a month – the second Sunday – I will do a small feature, Second Sunday Samples, in which I’ll be sharing just short impressions of perfumes I tested. 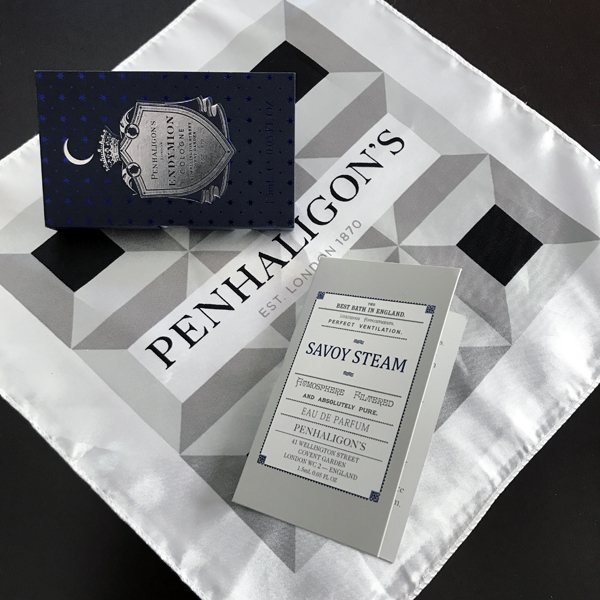 Until a couple of years ago, Penhaligon’s was a brand, about which I knew and some perfumes from which I tested but at that time there were just a couple of not too accessible stores. But then Penhaligon’s moved into my area with several boutiques. And since they are new players on the local market, they are still in the phase of being not too close-fisted with the samples. 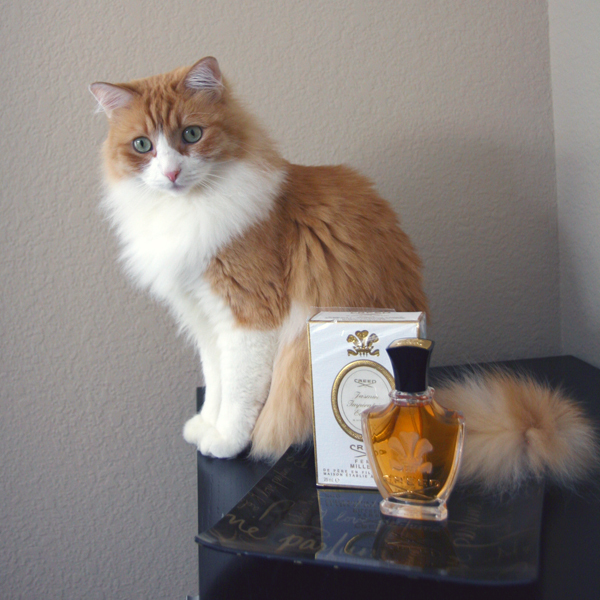 I was curious to try Savoy Steam because of Cynthia’s (The Fragrant Journey) review of this perfume. She made it sound so appealing that the SA at Penhaligon’s saw right away that I needed that sample. Savoy Steam has just been released. I tried the EdP concentration. From what I read, the EdC version is quite different – so make sure to try both. EdP is spicy and warm. I know that there’s citrus in it but it’s lost on my nose. I can smell rose and geranium but the rest of the notes I cannot identify (according to Fragrantica, top notes are bergamot, lemon, eucalyptus, mint, pink pepper and rosemary; middle notes are rose, geranium, cardamom, hedione and tea; base notes are benzoin, incense, vanilla and white musk). Savoy Steam stays right on the border where a proper gentleman might still wear it without feeling conscious that it’s too sweet, too feminine. But for me it is too sweet without being feminine enough. Also, I don’t know why but I keep calling it in my head Savoy Cream – not the kind you eat but the one you shave with. I like it the most in about 2 hours after the application but, in general, it is not perfume I would consider wearing. I knew nothing about Endymion released in 2003 until it almost jumped at me yesterday. 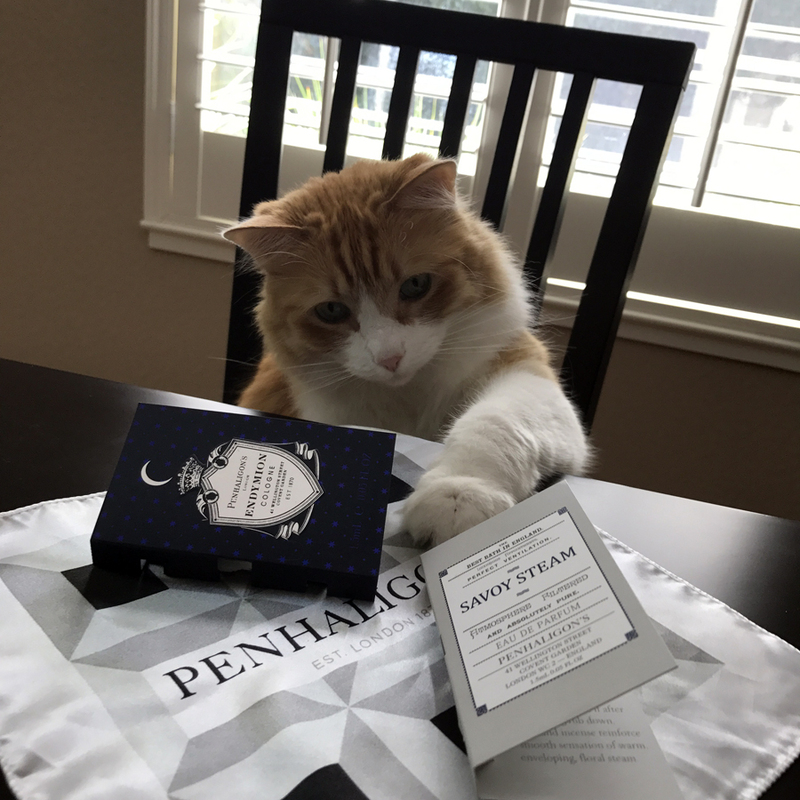 I mean, it was the last sample in the sample basket in front of the Penhaligon’s store – how could I pass by? Endymion for me smells like a classic masculine perfume, which is not surprising with notes of lavender, sage, geranium and vetiver (other notes are mandarin orange, bergamot, coffee, leather, musk, myrhh, nutmeg, black pepper, cardamon, sandalwood, incense and olibanum). I do not smell any leather – at least not the kind you expect nowadays when you read “leather” as a note. Coffee? Not either. 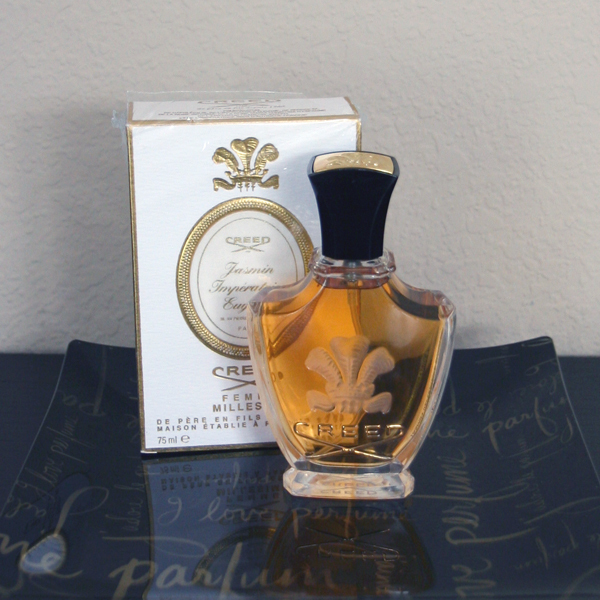 It is beautiful, elegant and well-blended perfume. There is nothing “unisex” about it; and it is probably not perfume I would consider wearing myself but I would love to smell it on a man. I have that dream of going into a perfume shop while on a vacation or at a fragrance event and finding perfume, without which I wouldn’t want to leave that store. It hasn’t happen to me since then. If anything, I became even less spontaneous, which isn’t surprising taking into the consideration my steadily expanding collection and exponentially increasing number of new releases. But the dream lived on. So going on the vacation to London, Barcelona and Stockholm, I decided not only to take with me and wear perfumes created by the brands from the respective countries but also to bring back perfumes from each of the destinations – with the same caveat of the brand’s origin. As I’ve described in the posts about each part of my trip, in our era of globalization it wasn’t easy to find perfumes that would fit the set criteria, even though I tried to cheat a little by bringing with me samples of perfumes that I’ve previously tried and… let’s put it this way – didn’t dislike. After all the sniffing Tara, Vanessa and I and then Vanessa and I did in London, on the last evening in the city I was still hesitant. I might have ended up not buying anything at all if it weren’t for the serendipitous circumstances. One of the most pleasant memories from our previous visit to London was a restaurant on the corner of the same street where we happened to stay then in a tiny hot room under the roof. For the whole week in London this time we kept planning to go there but something else would come up. So finally I reserved a table there for the last evening. When you spend the day walking the city, it’s hard to plan perfectly. We arrived to the restaurant almost an hour earlier but since we weren’t hungry yet, instead of checking with them if they could seat us immediately, we decided just to walk around and see the area where we spent time seven years ago. 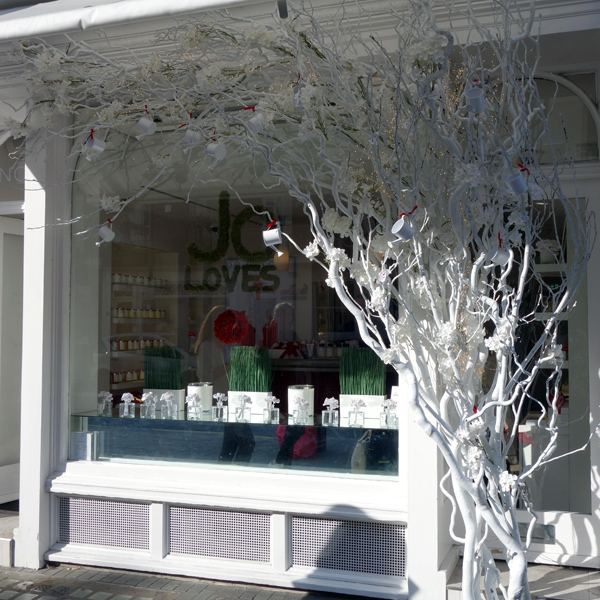 Of course, later I remembered Vanessa’s suggestions to the fellow-shoppers in Ormonde Jayne store to visit this area for Les Senteurs and Jo Loves boutiques. But it completely went by me at the time. Since I still kept my grudges against this brand for offering to send me scented blotters in response to my inquiry to purchase samples when the line had been launched (six years later I think I can safely reveal the brand, about which I wrote that post), I didn’t even think of visiting that store. But there we were – so I just couldn’t pass it by. 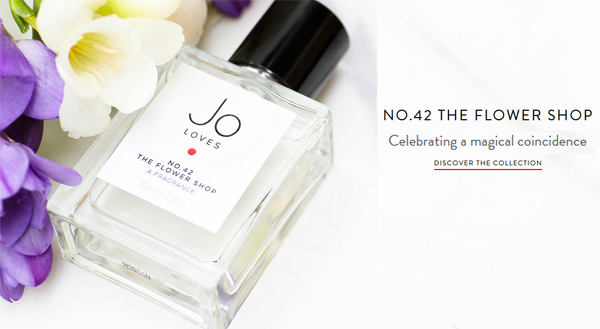 It wasn’t the first time I smelled Jo Loves’ perfumes: a year after the launch they had some limited promotion where you could request 2 samples. My friend and I each requested two – so we got to try four perfumes. “Nice but nothing special” was a verdict for three of them, and I liked but didn’t love the forth one (Gardenia). Several months ago I got hajusuuri’s “traveling samples set” – so I was able to try 7 more of their scents and really liked one of them. Even though I came partially prepared, it took me some time to make a decision. In the end I decided to go with perfume that I liked from the hajusuuri’s set – No. 42 The Flower Shop. Most of you who have been around for a while saw on my blog many beautiful bouquets (usually in Rusty’s company). Those we created in one of the local florist shops, which both I and my vSO like. He usually goes there on his own (to order flowers for me, not trusting online ordering) but from time to time we visit it together – not to buy anything but just to check what they’re offering. There is a cold room in the shop – a walk-in floral refrigerator for pre-made floral arrangements and buckets of different flowers. No. 42 The Flower Shop smells exactly like that room: greenery with mixed floral bouquet, light and pleasant (Notes from Fragrantica: green leaves, mandarin orange, peony, lily of the valley, freesia, jasmine, narcissus, iris, white musk, moss and patchouli). I plan to put the bottle in the fridge and use on hot summer days. The name of this perfume was inspired by the flower shop, in which Ms. Malone worked as a girl. Many years later she opened her boutique on the same street where that flower shop used to be. There was a close second contender – Mango Thai Lime. But since I’ve never tried it before on skin, the store was closing, and we were getting late for dinner, I decided to go for the safer choice, but tried to get a sample of this one – to test later and see if I would want to get a bottle. Would you care to guess what I was offered? And if you were curious, dinner at the restaurant, which happened to be just one short block away from the Jo Loves shop, was just alright: the food was edible but much simpler than 7 years ago (and as I happen to still have a menu from that first time, I was able to confirm that my memory wasn’t playing tricks on me). But those memories brought me back to that street, that boutique and to that perfume. And the picture below is what I saw first today when I went to the Jo Loves site to look-up something for this post. A magical coincidence indeed. The story of the next perfume will be not as poetic and a little shorter. In Barcelona, predictably, I didn’t have any “prospects” until the last day. When I got to La Basilica Galeria (the one with 1,000+ perfume), I told myself that if anywhere, I should be able to find there something to fit the criteria I imposed on this perfume hunt. Luckily for me, local perfumes were thoughtfully marked as such, so while methodically sniffing through all the shelves, I paid additional attention to those with “Made in Spain” labels. 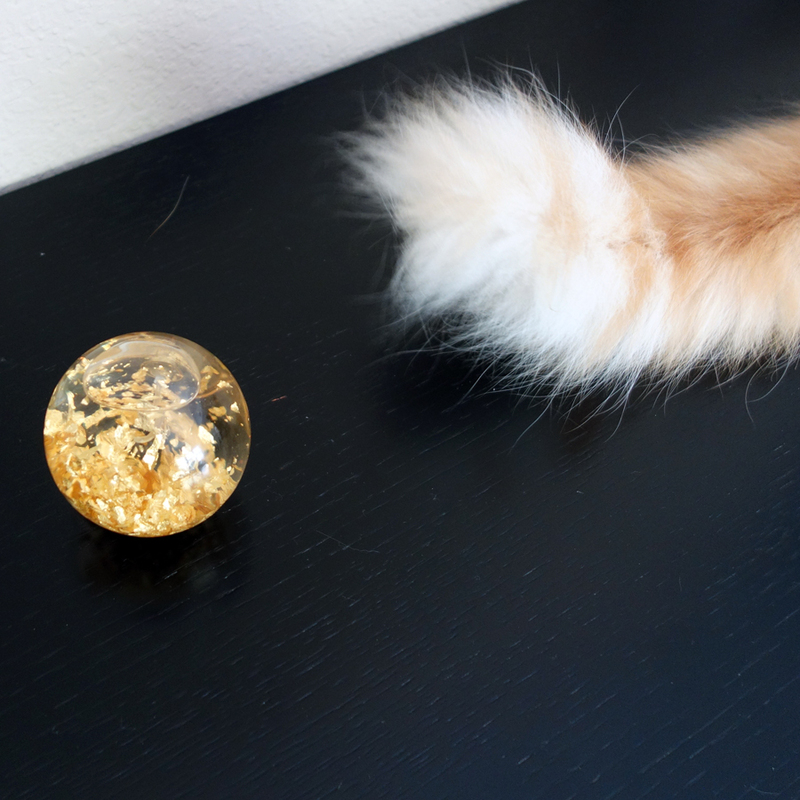 No, I didn’t bring back with me a toy for Rusty instead of perfume though I came close to that. Perfumes that I liked the most were in the case before the last. Before that day I have never heard of this brand – Ramon Molvizar, though the first fragrance in the Fragrantica’s database is dated as 1999. Probably, it was for the best because had I read the brand’s claims of “exquisite luxury” and “taking the perfumer’s art to its extreme where it becomes a masterpiece,” I would have felt much more skeptical. But since I was blissfully ignorant, I approached these perfumes practically with an open mind: I almost didn’t hold against them those strange shiny fragments inside the bottles. After trying several of Molvizar’s perfumes on paper, I pared down my choices to two. Those went on my wrists, and we went to sleep eat on it. I tried to be discreet in the café, but since I spent equal time sniffing and chewing, I suspect I didn’t fully succeed. But I made up my mind. Sol Sun on my skin opens with a cheerful citrus – perfect for that summer day in Barcelona. In the development I recognize lotus (not as a real flower but as a note I know from other perfumes) and some hints of wood. Those of you who have better nose would probably be able to recognize other notes from the list: lemon, ginger, bergamot, rose, orchid, jasmine, musk, wood and sugar cane. 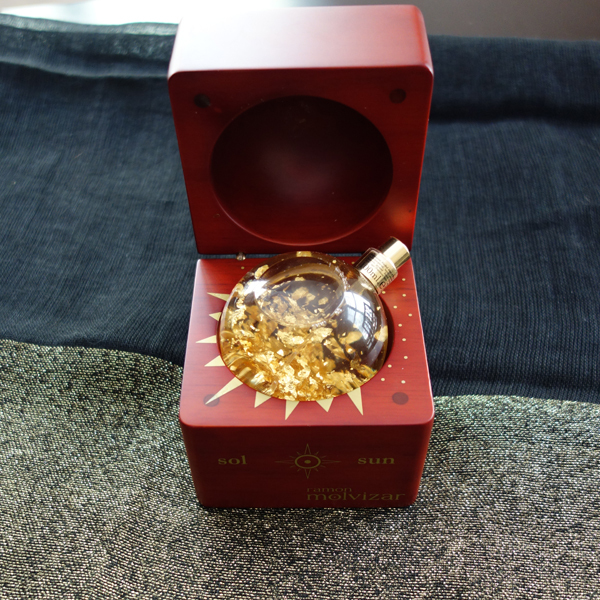 It is not one of those perfumes that everybody needs to experience: there’s nothing groundbreaking, unique or even quirky about Sol Sun. But I like this bright and sweet floral perfume with warm amber-y drydown – despite of the slightly tacky, in my opinion, 23-karat gold flakes (c’mon, for $8 you can get Beverly Hills Gold with 24 (!) kt gold flakes). And, as an additional bonus, Sol Sun comes in a beautiful wooden box, also made in Spain (which impressed my vSO in our made-in-China century). That packaging will allow me to keep this perfume on my dresser, which is valuable given the aforementioned collection proliferation. Nothing else would fit into it though besides the bottle – Rusty has checked. As to the last leg of the trip: I drew a blank. By that time I tried and liked so many great perfumes that it didn’t feel right to buy anything less interesting than those perfumes from the “Perfumes I didn’t buy” sections of my travel posts only because it was local. But when I finish my La Tulipe decant, I’ll buy a bottle in memory of how wonderful this perfume was on a cold summer day in Stockholm. said CEO Jon Yedwabnik, Opulent Jewelers, the company that for mere 25K per quarter ($100K per year) offers their affluent consumers a surprise box with brand name estate and vintage jewelry. I suspect that most of my readers do not have a perfume budget that amounts to even one tenth of the quarterly jewelry subscription cost but if you decide to spend $25-$100 to get a surprise factor or want to wear some popular mainstream perfumes without committing to a full bottle, one of these services might be exactly what you need. In all years I’ve been running Undina’s Looking Glass the only time I used my “perfume blogger” status to get anything from a brand was 4 years ago when I tried to buy from a new niche line samples they haven’t offered at the time. I didn’t succeed then. The second time I attempted that recently when I started working on this post. On the ScentBird‘s website I noticed a section For Bloggers. It offered bloggers to get their subscription free. I provided the required information – my blog address, number of subscribers, FB & Twitter accounts – and explained in the note the purpose of my subscription. I think, I even suggested holding a draw for whatever perfume I would receive. I got rejected. I don’t remember the exact polite phrasing (and for some reason I can’t find the letter now), but it was clear that my blog wasn’t big enough for their purposes. I was slightly offended (they kind of offered themselves!) but mostly amused: both services that specialize in much more expensive niche perfumes – Olfactif and ScentTrunk – had previously offered me their subscriptions (I haven’t accepted) while the mass-market-oriented one decided to save ten bucks on me. 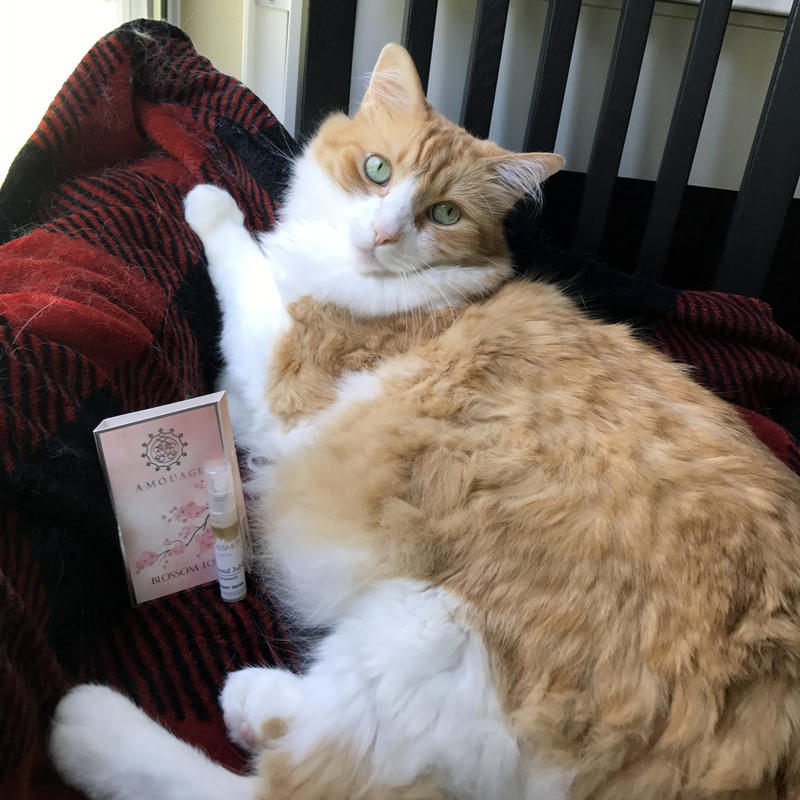 Since my blog is my hobby and I make a living from other sources, I paid for ScentTrunk and ScentBird subscriptions (3 and 2 months correspondently, with some %% off of the first month with coupons I found online). I didn’t have to pay for Olfactif since I had a box gifted to me by Jeffrey Dame, when one of his perfumes was featured there. So here’s how these subscriptions stack up against each other. Not offered There’s a small collection of full bottles offered for purchase. Online shopping is in its infancy: all you can do is to scroll the page to browse the selection sorted in the descending order by price Bottles for perfumes featured in the subscription are offered. Filter by price, brand, note, season or category. Personally, despite the rejection from their marketing people, I found ScentBird‘s service the most useful: I got two decants I wanted (GHAG‘s Miss Charming and Montale‘s Intense Cafe) much cheaper than I could find them elsewhere (not counting split groups but they don’t always have what you want). But then it’s not really a subscription, is it? Still, if you see something you like in their online store, it might be a good value for the money. Also I think it might be a good gift (the offer is 3 months for $44) for a “civilian” (© Tara) friend. As to the actual subscription services, I still think that you’ll be better off testing perfumes in stores (if possible), exchanging samples with other perfume enthusiasts or buying them from brands’ sites or in split groups. But if you live too far away from the stores that carry high-end mainstream or niche perfumes and you’re not too big on communicating with others to arrange exchanges or splits, I have a couple of recommendations on how to decide whether you want to play with one of the services and with which one. If you’ve tried and/or do not want to try 50% or more of perfumes, full bottles of which a service offers in their online store, do not subscribe. Since ScentTrunk sends “customized” boxes without disclosing who gets what, there’s a good chance that you’ll get three of the perfumes that are already in their store at the moment you’re checking it out before signing. So just look at what they offer and think how many of those you haven’t tried yet or tried and wouldn’t mind using for $3/ml. Olfactif, on the other hand, offers for sale perfumes from their previous collections, so you do not know what you’ll get next but can try predicting the future performance by calculating the ratio of the perfumes you tried and disliked to all perfumes you tried from their collection. The smaller the result, the better chances that going forward they’ll keep selecting something that is closer to your tastes. If you are not familiar with most of the perfumes in both stores, go with the service that offers more brands that are new to you: if you’re making a leap of faith, at least you’ll get exposed to something completely new. Have you ever tried any subscription services (not necessarily perfume-related)? … persuade me to go for a perfume? At least four. 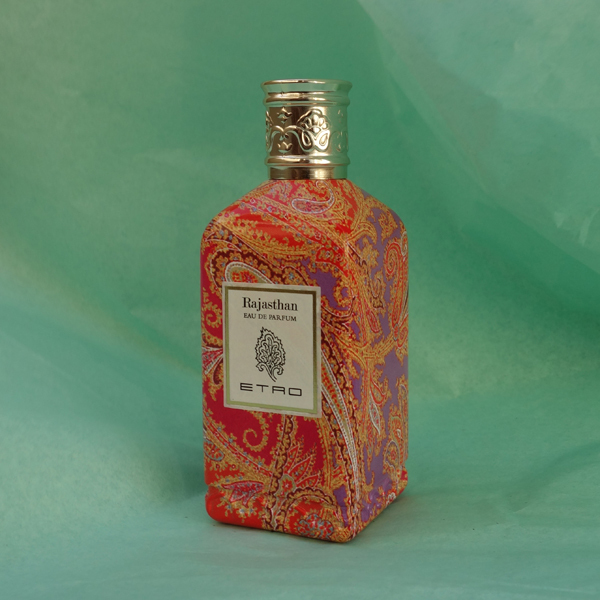 I remember reading somewhere the announcement of the upcoming release of Rajasthan by Etro and either the author or somebody in comments was extremely excited about the bottle and was almost prepared to go for a blind buy. I shrugged: not only I didn’t know the brand (I’m not into fashion much) but I couldn’t see the bottle attraction either. One. Then I read a rather negative review from Kevin (Now Smell This) and promptly forgot about Rajasthan: since I didn’t expect anything from it in the first place I wasn’t even disappointed. Two. Last year Natalie (Another Perfume Blog) and I went to Barneys where I saw Rajasthan bottle for the first time. Something in the bottle spoke to me, I thought it was beautiful. I tried the perfume on skin and liked it. Natalie politely agreed that it was nice. I asked for a sample and got about a ml – everything that was left in the tester. I even tried to get them to sell me an empty bottle. I knew it wouldn’t happen: from what I’d heard, all perfume departments have strict policies about empty bottles. But it was a fun conversation with an offer to meet with the SA at dumpsters after hours. Three. The sample lasted me for a couple of tests that confirmed that I liked Rujasthan. But it wasn’t enough to make a decision – so I waited. Several months ago during Suzanne’s (Eiderdown Press) visit I tried Rujasthan at Barneys again. I still liked it. Suzanne politely agreed that it was nice. By that time I already loved the bottle but not enough to pay full price for the perfume. Four. Three weeks later a perfect test bottle of Rajasthan was mine for half the price (eBay is very useful sometimes). Usually I do not buy testers: if I get a bottle, I want it to come with a box to store it in. But in this case it didn’t matter since the bottle isn’t transparent. Etro has created a very pleasant day-wear perfume that represents neither scents of India nor even westerners’ stereotypes for them. Notes (via Fragrantica) include: lemon, pink pepper, portulaca, mimosa, rose, black currant leaves, black locust, amber, labdanum and white musk. I’m not too good with dissecting perfumes so there are many notes, not detecting which wouldn’t surprise me much. But lemon is such a ubiquitous scent – how can it be that I don’t recognize it when I smell this perfume? Etro’s site in a poetic description of Rajasthan qualifies this note further – “winter lemon.” As I tried to find any explanation of what was that mysterious variety of lemon and how it was different from a regular lemon (I failed), I came across earlier announcements of the upcoming Rajasthan release and they all, as well as some reviews from that time, mentioned “winter lemon flower” note. I assume it was either a part of the official press release or something found in translation. It would explain the absence of the recognizable citrus smell – but then why did Etro remove it? And if lemon is not there, how could others detect it in the composition? My nose must be off. What I can smell is a sweet (but not too much – for my nose) and powdery light amber scent with enough spices to keep it from being perfectly polite. I cannot smell rose – or any other flower – though I can imagine that the sweetness I smell is coming from mimosa (or its rendition). Rajasthan loses projection within three hours mark but stays as a skin scent for over 10 hours (white musk, I assume). I do not love it but I enjoy wearing it from time to time. And did I mention how much I like the bottle? 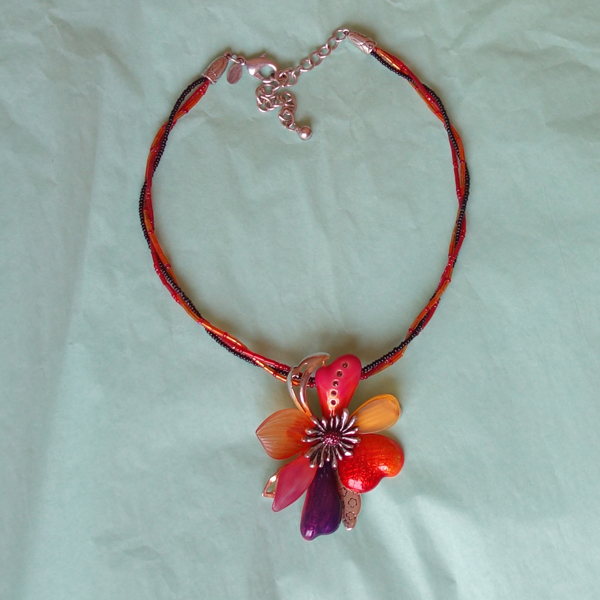 But only after it joined my collection I realized that I’ve liked that color scheme long before I saw Rajasthan bottle: look at the picture of one of my favorite necklaces I wore for the last five years. She is tall and slender, with very feminine forms, humanoid face and unmistakably alien head with tentacle-like protrusions. She walks a little strange, balancing from side to side. With her light blue skin, navy lips and black nails there’s nothing human in her appearance. She looks cold, emotionless and reserved. She’s a monster. But then she starts singing and everything changes: she warms up, becomes alive and you just can’t stop watching her facial expressions and moves of her hands while she performs the composition in [almost*] humanly impossible ranges. She seems really beautiful and almost human. Impossible Iris is a great name for a perfume. How does one live up to such a name? Ramon Monegal found a perfect solution: his Iris Impossible isn’t about iris. Of course, iris is present but not only it is not in its expected and well-recognized earthy-root-y facet but it is also so well blended with other notes (according to Fragrantica – mimosa, raspberry, Ylang-ylang, jasmine and Virginian cedar) that regular people (the ones without a super-nose or a list of notes) wouldn’t be able to identify what they smell. Reviewers are all over the place describing which notes they smell the most prominently in this perfume. 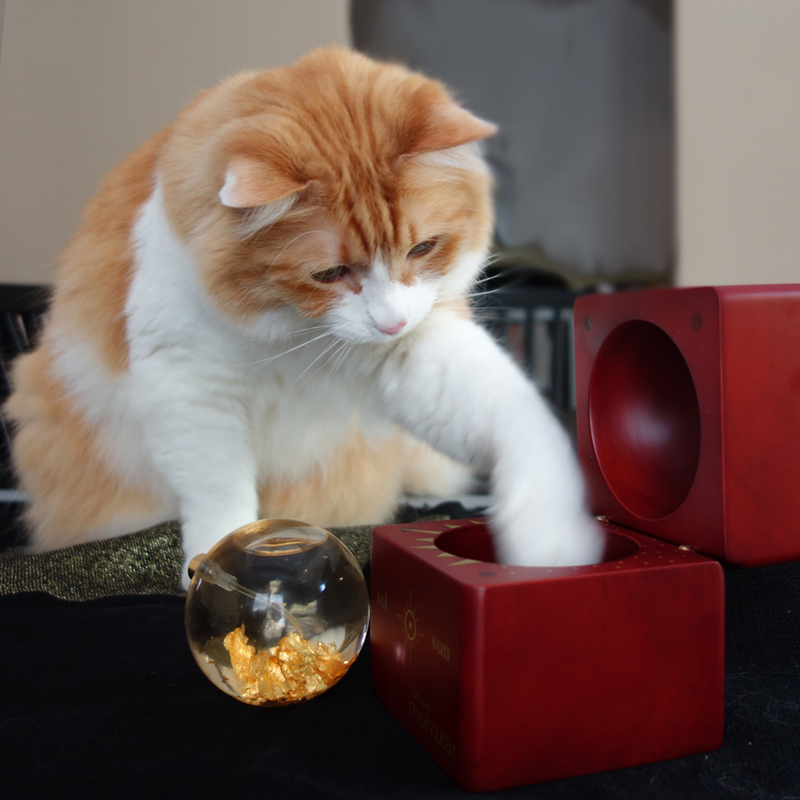 I declare my inability to pick out any of them – even though I think I know how those notes are supposed to smell. Impossible Iris starts strange and a little aloof (especially if worn in the colder weather). It smells… the word “artificial” has a negative connotation, which isn’t my intent, but I don’t know how to describe this perfume better. It smells not natural – similar to how Mugler‘s Angel smells not natural (though I’m not trying to compare scents themselves). I do not recognize the scent of any of the listed elements but the composition smells good. As time goes by, Impossible Iris warms up, loses its otherworldliness and becomes more familiar and approachable. It sings on skin and it is beautiful. Impossible Iris for me is that Diva Plavalaguna of the Perfumeland. I got the first sample because I liked the name. When I applied the perfume for the first time, it wasn’t what I expected or wanted it to be. But it was weird and interesting. And captivating. And I couldn’t stop sniffing my wrist – all the way through a couple of samples to a bottle in my collection. 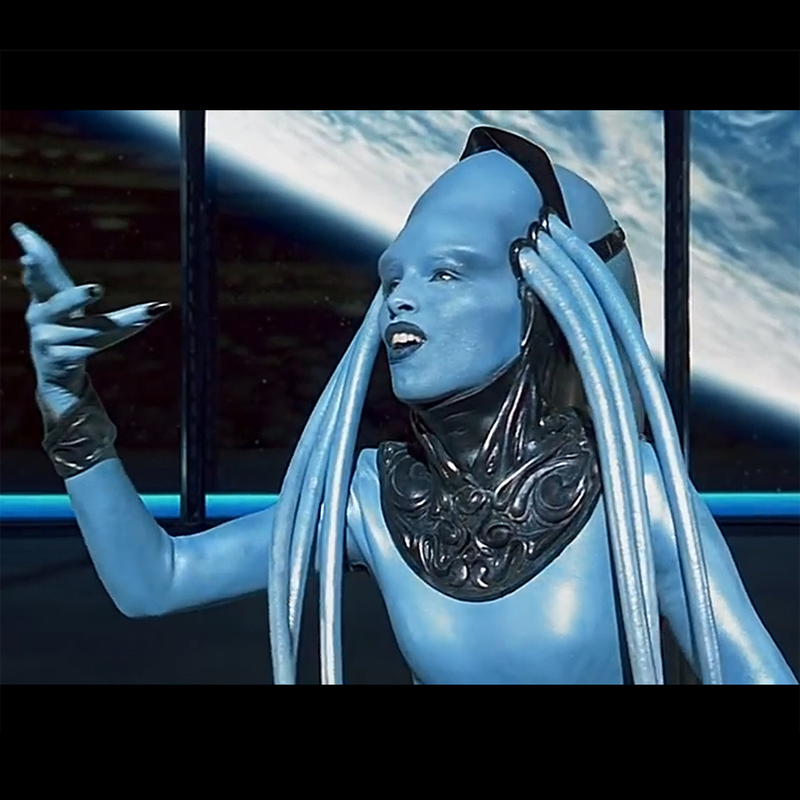 * IMDB trivia on this movie mentions that the singer, Inva Mula, commented to the composer that “some of the notes written were not humanly possible to achieve because the human voice cannot change notes that fast” so she performed those notes in isolation – one by one, and they were edited into the aria. Since then there were at least several claims by different singers of performing the same composition live. You can easily find their clips online but I don’t know either if those are really unedited recordings or if they actually are doing it exactly to the original (my abilities are not good enough to hear that).